Syngency’s integration with HelloSign enables you to send electronically-signed documents to your clients and models, directly from Syngency. eSignatures are legally binding, and HelloSign offers a fast, easy way to send and sign documents. To get started, you’ll need to have signed up for a HelloSign API account, and be on Syngency’s Premier plan. Test Mode is useful if you are just starting out with HelloSign, and want to send test signature requests. These are not legally binding, and will not count against the monthly signature count of your HelloSign plan. 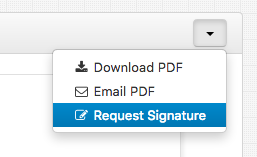 Uncheck this box when you are ready to start sending eSignature requests to your clients and models. Click the Save button and you’re ready to start sending eSignatures from Syngency! Select the client contact you wish to send the signature request to, and enter a message they will receive with the signature request email. When you click Send, Syngency will send a PDF of the booking confirmation to both you and the client contact, with a signature request attached to each. 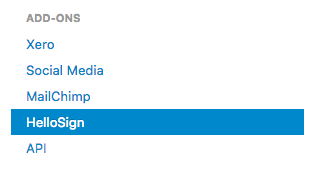 With the HelloSign integration enabled, you will see a Documents tab appear in your model profiles. Here you can add and send documents, based on Templates that you create in HelloSign. 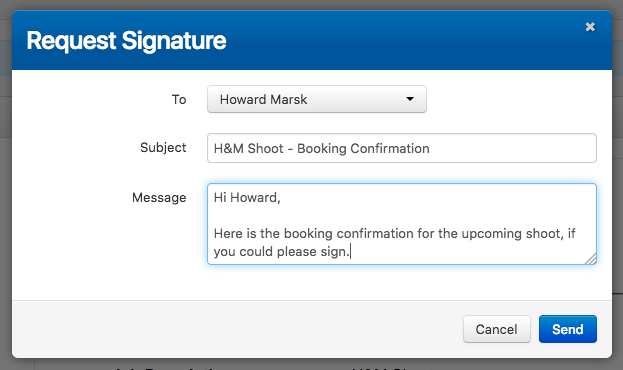 Before you can send documents to your models, you’ll first need to add them as Templates in HelloSign. Follow these steps to create your document templates. 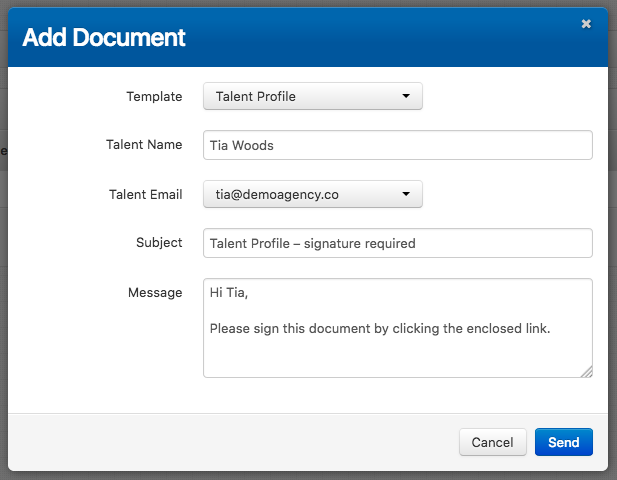 Once you select a Template, a Name and Email field will appear for each of the Roles you have added to the template. The models’ name and primary email address will be automatically selected for the first role by default.